﻿ Pawan - Learn How To Seek Votes! Pawan - Learn How To Seek Votes! During his Anantapur Tour, Pawan Kalyan termed Tadipatri MLA JC rnDiwakar Reddy as corrupt and threatened to tear his skin. And now, JC rnJunior has offered a befitting reply to the Actor-turned-Politician. JCrn Prabhakar Reddy: 'Tholu Theesta...Thata Theesta...Panchelu Oodagodatha rnAnte Nadiche Rojulu Poyayi. Memu Kooda Chala Mandiki Tholu Theesa, Thatarn Theesa, Panchelu Oodagotta...Anni Chesi Ippudu Methabaddam. Memu Emi rnChesina Vyavasthalo Bagamai Chesam'. The rnLegislator advised Pawan Kalyan to learn how to seek votes referring to arn dialogue in the climax of 'Attarintiki Daredi'. ''Nee Kosam Pavala rnBagam Pettam Atha' Annattuga Adukkovali Thappa Ila Matladithe rnKudaradhu,' he opined. 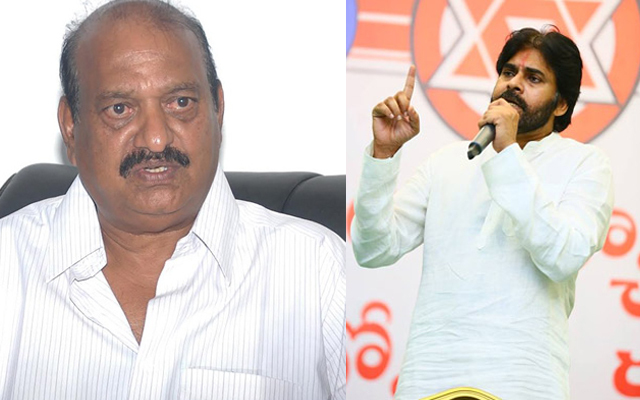 Looks like, The war of rnwords between Pawan Kalyan and JC Prabhakar Reddy gonna continue in rnfuture because both of them are known for their aggressive/gutsy nature.